So throughout 2013-15, Eyal and his team developed AppCoin, a marketplace for complementary currencies. They invited two networks in their country, each with around 20,000 members: Mamazone was changing the stressed-out lives of mothers who had started helping each other and recognising each other using 'heart' tokens. O-Share was a sort of timebank which emerged from a protest movement using a time token called Shefa (happiness). The AppCoin team invested hugely in developing software with and for these groups, but especially the marketplace section. Hearts became more valuable when they could be used to buy durable goods, put there using investment capital. Financiers wanted a financial return on transactions in currencies that weren't convertible to dollars. It also wasn't possible to scale massively because existing communities needed a lot of work to change the culture. Eventually, the main investor pulled the rug from underneath the project. This simple idea, backed by some technology sector expertise, the support of Bernard Lietaer, and a handful of other complementary currency enthusiasts helping out with the communications (including myself) presented at just the right moment last year, raised an unprecedented $50m last year right at the start of a boom in unregulated 'Initial coin offerings'. But as the team set about building their multicurrency wallet, they spotted an emerging use case to provide liquidity between the tokens of all the other ICOs. Its possible to trade these tokens on a normal exchange like Bittrex where you pay commission twice as you go via Ethereum tokens or bitcoin. 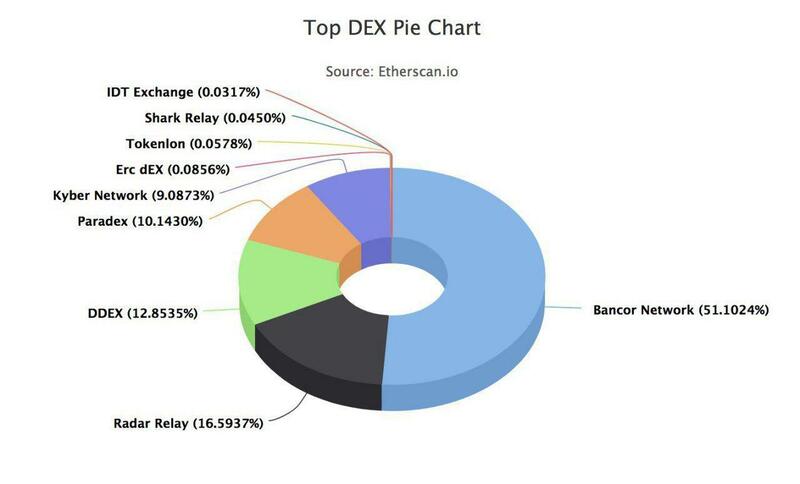 But the Bancor Protocol provided another way, and now handles over half of all the volume of all the decentralised exchanges. This has been great for business and establishing their reputation but a non-profit with lots of money to spend, they still plan to get to back to complementary currencies and to save the world! But for me the outstanding question is how many complementary currency projects are looking for this kind of convertibility into anything, or are most of them intentionally non-convertible? Currencies which hitherto have been backed by and convertible to national currencies, which want to be used in the high street probably don't need Bancor convertability because they have a fixed price and 100% backing. Currencies like Hearts and Shefa and LETS and timebanks which build community do NOT want to be bought and sold for money convertible to fiat. One possibility comes to mind, Faircoin, although its relationships with the free market is ambiguous. Faircoin has hacked capitalism with a free-floating token whose price has increased considerably, certainly in part because of speculative purchases. When Faircoop refused to give their financial credentials to the only serious exchange where it was listed, Bittrex, the coin was delisted at the end of March, and the free market price took a hit. But some elements in Faircoop belive that the free market is bad for the coin, because it causes volatility and traders want stability. They already have a reserve which they use to stabilise the value of the coin. My impression is that the Bancor team want to empower communities with the ability to make their own high-street money out of nothing. Anyone can issue some tokens, tell a story about why they are valuable, and Bancor will provide a market for these tokens to be convertible to money at whatever price people are prepared to pay. On the one hand this is great because it allows for the creation of new liquidity in a depressed economy. On the other hand it is the opposite of what many community currencies are trying to do, which is to cut from the money system and exchange amongst themselves with different values. My take is, Appcoin's attempt to work with Mamazone and o-Share went sour when Appcoin attempted to monetise units which had been intended as non-monetary. This mis-alignment of intentions created a conflict which the communities could not win because they had no control over their data and software. People who are consciencious about helping others first identify their beneficiaries, ask what is needed, and then work with a spirit of service. Prof Jem Bendell put it to me in another way: "The history of community software is replete with instances of communities becoming dependent on a provider they are unhappy with. The situation arises because such software choices are typically first time "buys" by community organisers who therefore have no experience and enter a (sometimes fee-free) transaction with a software provider with an aysmmetry of knowledge. Even governments and foundations whose grant guidelines do not integrate software best practices can enable recipients to make misinformed choices. Permalink Submitted by Jens Martignoni (not verified) on Sun, 05/20/2018 - 20:47.